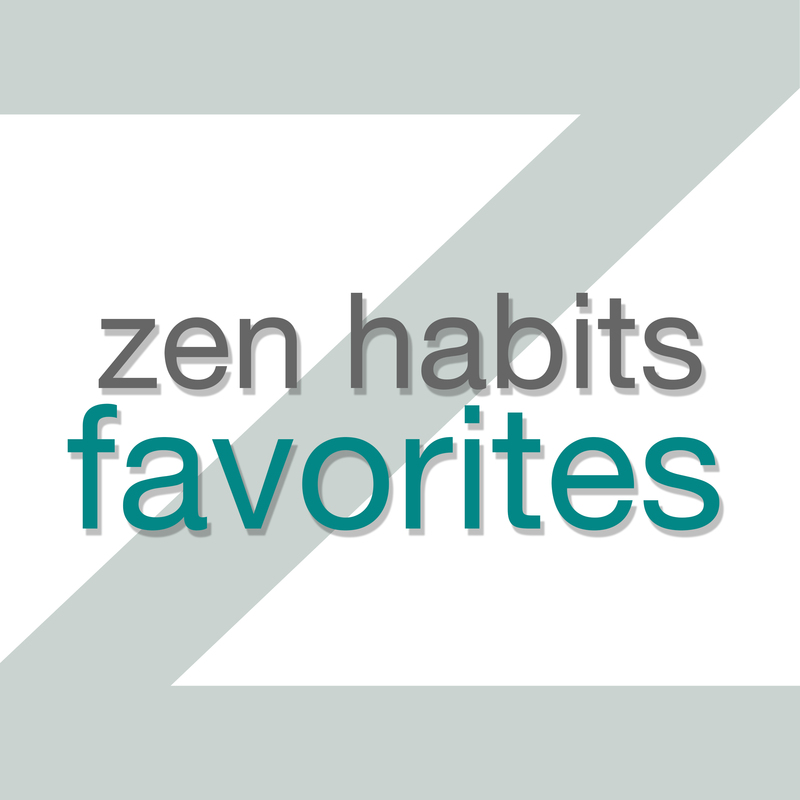 Zen Habits Audio – Page 4 – Home of the Zen Habits Favorites podcast. Home of the Zen Habits Favorites podcast. There’s a part of today’s consumerist world that drives us to want more, buy more, act on our impulses, hoard, spend to solve our problems, create comfort through shopping, seek thrills through travel, do more, be more. What would happen if we broke from our addiction to wanting and buying more? What would life be like if we didn’t need all that? Imagine a life where we could enjoy simple, free pleasures like going for a walk in nature, meditating, reading a book, writing. By buying less we’d have less debt, less clutter, less to take care of. We’d need smaller houses, less storage. Perhaps we could even work less to support all this buying, unless the work were something we loved to do. Now, I’m not saying we can free ourselves of all desire. I’ve certainly not learned to do that yet. But what if we could recognize our wants, and not be driven by them? What if we could let go of them when they are not helpful, and instead be happy with what we have? Recognize when you have an impulse to buy, a desire to do what other people are doing, a need to solve problems or create a certain life by buying things. Learn to see this impulse, and say, “Ah, I have an urge to buy!” Just see it. Recognize that the impulse isn’t a command, just a feeling that arises like any other, just temporary, like a passing cloud. Watch it, feel it, stay with it, but know that it will pass. Set a limit to your stuff. I am experimenting with a limit of only having clothes that fit in one bag, but you might set an temporary limit of 33 personal things, one drawerful of clothes, etc. This limit isn’t to feel restricted, but to give you pause before you buy something, to remind you that you already have enough. See this moment as enough. A desire to buy, to experience what others are experiencing, to do more … these all stem from the idea that the present isn’t enough somehow. We aren’t satisfied with what we are, what we have, what is in front of us … we want more. But I’ve been practicing with the idea that the current moment is already enough. I’m already good enough. There doesn’t need to be more. When I have an impulse to buy or do more, I think about what’s in front of me, and I try to understand that it’s enough as it is. Enjoy simple things. There is already enough in front of us, right now, that we don’t need more. We can go for a walk, sit and read a book, do some pushups or yoga, sketch or write or play some music, have a conversation with someone, or do nothing and see what that’s like. We can walk barefoot on grass, drink a cup of tea, create something new, learn about something new, be curious about the life that’s in front of us. This is delightful, without needing to buy more or get more. Finally, recognize that it’s an ongoing practice. In my experience, you don’t just get rid of desires and then you’re done. You let go of one, turn to the present moment, appreciate it, find satisfaction in what there already is … and then a little while later, another desire arises. It comes from advertising, websites, magazines, seeing what other people are doing on social media, watching the news, talking to people, walking past a cool store, seeing a new bag that your friend just bought, etc. The desires will keep coming back, but we can develop the skill of recognizing them, letting them go, being happy with the enough-ness of now. How to Want Very Little was first published on Zen Habits on 11/17/15. You can read entire books on productivity, dozens of blog posts, and implement half a dozen different productivity systems. But at the end of the day, you’d have gotten nothing important done. Pick something important to work on (a task from your most important project, perhaps). What you pick doesn’t really matter, because you’ll get the rest soon. Focus exclusively on that task for a bit, finishing it if you can. Pick another important task after that, and repeat. And of course, take breaks. Walk around. Do some yoga. Meditate. Eat something healthy. Socialize. But when you’re going to work, focus on something important, and try to get it done. You might think you have too much to do, but in truth, all you can really do is focus on one thing at a time. So if it’s so simple, what’s getting in the way? Fear. Some of the fears that get in the way of executive the productivity steps above: fear of failure, uncertainty, incompetence, discomfort, not having control control. In fact, we fear only one thing really: not having control, certainty, security, comfort. Those are really all the same thing (certainty). All of our fears come from that. We don’t like to feel these fears. So we avoid them, trying to seek control, certainty, comfort by going to distractions, news sites, social media, cat videos, email, text messages. We try to get control by running from the important but uncertain tasks and tidying up, doing errands, organizing, making a new productivity system. Anything to avoid the uncertainty. So now we get down to my Most Important Productivity Method. It’s diving into the uncertainty. Start by setting yourself an important task. Any one will do. When you notice yourself getting lost in distractions or busywork, take a step back, and set yourself an important task. Focus on that task, and only that task. Try to finish it, or at least work for 10-15 uninterrupted minutes. When you notice yourself trying to go to distractions or busywork, pause. Notice the fear of uncertainty. Breathe. Explore the feeling. See how it feels in your body. Stay with this physical feeling for a minute, and learn that you are OK despite this fear of uncertainty. There is a basic goodness in your heart that will always be there, even if you don’t know how this task or any moment will turn out. Dive into the task, even with this feeling of fear in you. It’s OK to be aware of the fear, and still do your important task. That’s it. Be aware of the fear, don’t let yourself act on it, explore it with curiosity, and do your important work anyway. You’ll let yourself run from the fear, go to distraction, over and over. But it’s in that moment when you decide not to run that you really develop the skill that will change your life. My Most Important Productivity Method was first published on Zen Habits on 3/18/16. We think we need to improve ourselves and our current situation, because we’re dissatisfied (at least a little bit) with how things are. We have a drive to improve, improve. So we strive for change — exercise more, eat better, read more, be more mindful, do more meaningful work, be more disciplined. And yet, we struggle with change. Why is that? What’s going on? The problem is that we are clinging to the illusion of solidity. Allow me to explain. It turns out that we all want things to be solid in our lives: we want a solid income, work routine, daily routine. We want a solid version of ourselves, that’s not so blown about by the winds of whim. We want everyone else around us to be solid, dependable, stable, the way we want them to be. We want our relationships to be solid, trustworthy. We want our health to be solid, not subject to injury and depression and illness. We want everyone else to be solid and not die or get sick. Of course, our rational minds know this always possible, but still, this is what we want. Solidity. Unfortunately, we are grasping for something solid … in a river. There is no solidity, just fluidity. Think about yourself for a second: can you stick to a perfect routine, never changing, for an entire year? No, probably not — most of us can’t do it for a day. Why is that? Why can’t we just make a plan and stick to it? It’s because our minds are not machines that follow a fixed program, but instead are complex, constantly changing, constantly reacting to new things, constantly making new connections, fluid, dynamic, everchanging. We can’t shape ourselves into a solid shape of our choosing any more than we can grab a handful of water and make it into a solid shape. Well, what if we freeze the water to make it solid, you might ask? Let’s think about your thoughts: take a single thought, the next one you have, and freeze it. Make it stay in your mind, unchanging, without going anywhere, without jumping to another thought. Can’t do it, can you? I sure can’t. We don’t control our thoughts. We can’t make them stay still. We can’t force them into a pattern we want to follow. It’s fluid. It’s like trying to control the wind. We are fluid, like water. Nonsolid, like wind. And yet we want ourselves to be solid. We grasp for this solidity, despite our fluidity. We struggle with our improvements, because even if we perfectly plan our solid progress, we will never follow this perfectly solid plan. We drip through the form we created for ourselves, find the cracks and leak out of it. Everything else around us is also nonsolid. Every other person is just as fluid as we are. We want everything and everyone to be solid, but they aren’t. So we struggle with this, because nothing is the way we want it to be. Nothing is stable, nothing follows our ideals, no one is the way we hope they will be. We get frustrated, anxious, worried, angry, sad, fearful. So what’s the solution? How can we ever improve ourselves? How can we let go of frustrations and fears in this fluid world? Start by embracing the fluidity. Look at your thoughts, your fears, your pain, and really investigate them. See their nature. Understand that even if the difficulty you’re facing right now feels solid, it’s actually vapor, and will dissipate in moments. None of the problems around us are that big of a deal, when we realize they’re just passing mist. In this way, we can just sit in the mist, and smile. Cherish this mistful moment. When we plan to do a habit every day, and we fail … notice that we failed because of our fluidity. Examine the fluidity of yourself. Be curious about it. Lay back into the gentle fluid waters of yourself, and relax. It’s OK, this warm water that is you, just as you are. The fluidity of ourselves is only “bad” if we want solidity. Whenever you’re struggling, notice how you are grasping for solidity. Notice how the thing you’re hoping will be solid is in fact vapor. Investigate it, with friendliness and curiosity. And then smile, relax, and enjoy the mist. Why We Struggle with Change was first published on Zen Habits on 2/19/16. Zen Habits Audio, Proudly powered by WordPress.